Kids don’t come with instructions! Many times parents have difficulty finding quality early childhood education opportunities for their children. There are many programs that provide early childhood education opportunities in Hays and the surrounding areas. Program Description: Parents as Teachers and Early Head Start are child development, parents and family service, home-visitation programs for families with children between birth and age three. Staff recognize parents as the first and most important teacher of their child and supports efforts toward reaching family goals. Families must meet eligibility criteria. Cost: No cost to eligible families. Program Description: Promotes school readiness by enhancing the social and cognitive development of children through the provision of educational, health, nutritional, social and other services to enrolled children and families. Services can be delivered at center-based classrooms in Russell, Plainville, Stockton and five different sites in Hays. In addition Home-Based services are available in Ellis, Rush, Rooks and Russell counties. Program Description: Preschoolers learn to explore their environment, interact with their peers and express their creativity through activity-based learning based on each child’s level of development. Supporting multicultural learning and children with special needs, HACC believes children learn most when they are encouraged to explore and interact in their play. Program Description: The primary goal of Hays Victory Christian Academy is to train students spiritually., It is our desire to be the extension of the Biblical and educational training begun in a Christian home. To obtain this purpose we have the following objectives: HVCA seeks to encourage its students to reach their highest 1) spiritual, 2) intellectual, 3) social, 4) cultural, and 5) physical potential. We seek to present the truth about God, life and the world. Program Description: Learning Lane Preschool:The purpose of Learning Lane preschool is to guide young children in their learning and socialization skills they need to learn before they begin Kindergarten. The environment will be a safe and loving environment. Learning opportunities will be offered socially, emotionally, intellectually and physically. Children will be encouraged to express themselves and share in the activities in the classroom. Play is an important part of a child’s social development and will be incorporated into the activities of the day. 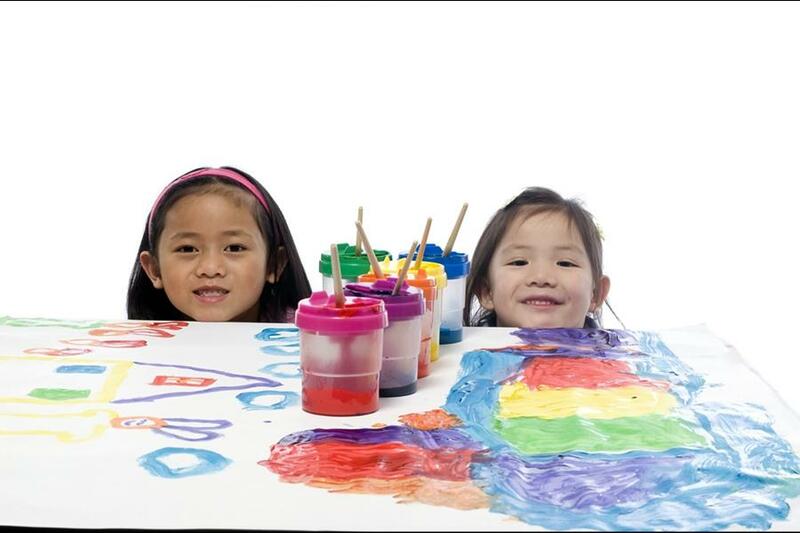 During this time children will learn to play with others and use their imagination to create. The classroom will offer a Christian atmosphere that is reinforced with the teachings of peace, kindness, caring, sharing, loving one another and forgiving one another. Having a sense of accomplishment. Program Description: Little Sprouts…A Garden of Learning Preschool and Childcare Center! Hours are M-F 7:30-5:30. We have 2 classrooms-12mo to 3 years, 3 years-kindergarten age. We believe that children grow and develop when surrounded by love in a secure and stimulating environment. Children learn best through play and hands-on experimentation, interacting with peers and adults. We will provide developmentally appropriate early childhood experiences that stimulate learning in all developmental areas. We will provide an atmosphere that will facilitate a balance between child-initiated, child directed, and teacher supported interactions! Program Description: Through a mixture of guided and undirected creative play, children will have the opportunity to learn about color, shapes, textures, numbers, letters, animals, seasons, feelings, senses, nutrition, personal hygiene, manners, basic science and math concepts, and creative concepts such as “pretend” play, art, music, drama, and dance. These are all things that most preschoolers are able to learn through creative, educational play. Program Description: Tiger Tots Nurtury Center provides a combination preschool/childcare facility for children of Fort Hays State University students, faculty and staff. Our main goal is to provide a positive and safe environment which will promote the social, physical, intellectual and emotional growth of each child. Our values and beliefs about children are based on personal experiences and educational research regarding how young children develop through a combination of play and structured activities. program have individualized goals based on family input and teacher observations.